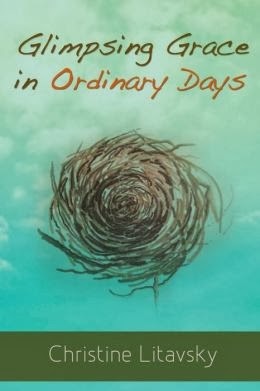 Using true life stories from the author’s everyday life, Glimpsing Grace in Ordinary Days reminds us that God is always at work, even when it’s hard to see His hand in our daily routines. It helps readers pull out often-elusive glimmers of grace out of our chaotic world, examine them, and rest in the assurance that we are loved by God. Whether we’re struggling with a divorce, remodeling a kitchen, or chaperoning a field trip, glimmers of grace are there, free for the taking, but we do need to reach out and grasp them. This book helps us remember we can. This book is set up with 11 chapters, more so used as ways to group the stories. Each chapter then broken down into small brief sections. These smaller sections make it easier to read, focus and be reminded how God is ever-present. This book contains stories from the authors life. I enjoyed reading this book and could relate to many of the stories. I had a bit of a time "getting into it" but once I did, it was wonderful. I was a bit surprised that more scripture wasn't used throughout it. Overall I think it is very well written with a great reminder message to “glimpse God’s grace in ordinary days”. I wrote this book to encourage people to slow down and look for the glimpses of grace present in their lives. This self-reflection is not always easy — in today’s technology saturated world, we’re more distracted than ever. We rush about, texting in one hand while checking our emails with the other. This busyness and preoccupation hinders our relationship with Jesus. Not only are we not focusing on Him, but we’re also not seeing the grace notes that He lovingly inserts into our lives.